Ask 10 people what makes a pit bull a pit bull, and you're apt to get as many different answers. (Or, simply, "I know pit when I see pit.") Take a peek under the pit bull umbrella, and you can find English bulldogs frolicking with bull terriers, American Staffordshire terriers and Bullmastiff-hound mixes. There's plenty of regional variation, too, regarding what characteristics make a pit bull. Even canine experts have different definitions, as Christy Hoffman, a professor at Canisus College in Buffalo, N.Y., found firsthand. Hoffman was flipping through pictures of shelter dogs on her phone - "Here's a pit bull, here's a pit bull" - when her colleague Carri Westgarth, a scientist at the University of Liverpool, remarked that in the U.K., none of those pups would be considered pits. Their scientific interest piqued, Hoffman, Westgarth and fellow researchers set out to determine the way animal shelter workers label certain dogs. The scientists found a significant regional difference between the U.S. and the U.K., with so-called Breed Specific Legislation, or BSL, playing a role. The U.K., as well as parts of the U.S., have laws that prohibit - or at least make it much harder to own - certain types of dogs. Under the U.K.'s 1991 Dangerous Dogs Act, for example, dogs with a set number of "pit bull type" physical characteristics are outlawed. 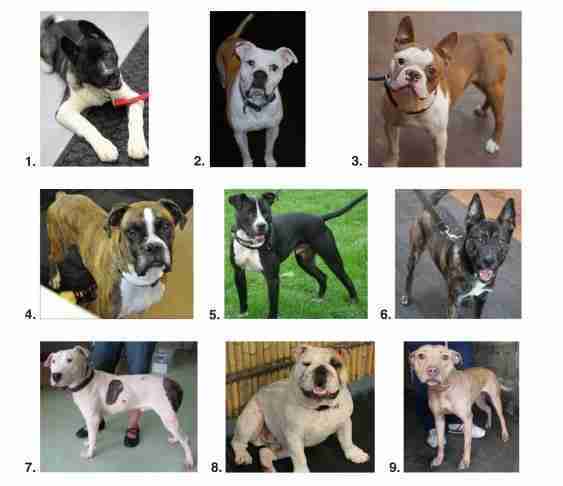 The scientists asked 416 U.S. and 54 U.K. animal shelter employees and volunteers to identify 20 dogs by photo; of the dogs, 11 were bull breeds or mixes, with two each that were "highly probable pit bull terrier examples" from the U.K. and U.S, respectively, the authors write. The responses were varied - out of the 20 dogs, more than half of the U.S. participants reported that seven were pit bulls or a mix. In the U.K., on the other hand, a majority of the shelter workers called only one dog a pit bull. Although U.K. workers seemed to underreport pit bulls more frequently, in the U.S., the reluctance to classify a dog as a pit bull may be intentional. For shelters in areas where breed-specific laws apply, 40 percent of workers said they would purposefully identify a dog as something other than a pit bull or other banned breed. Even in places without BSL, where renters and homeowners might run into problems with landlords and insurance, Hoffman says, shelter workers may have an incentive to keep "pit bull" off of a dog's tag. The intent isn't to trick would-be adopters - it's to get these dogs to more homes. Not only are pit bulls euthanized in disproportionate numbers, but pet owners are less likely to pick a pit bull up from a shelter. One U.S. rescue worker wrote: "I would put Lab mix because they get adopted easier, but he looks like he could be Staffie (Staffordshire bull terrier)." "It's kind of scary that decisions are being made on individual dogs based on BSL," Hoffman says to The Dodo, "when we don't have a clear definition of what a pit bull is." Rachel Orritt, a graduate student at the University of Lincoln studying dog aggression who was not involved in the research, calls the study "preliminary" but "very interesting from a cultural point of view." She cautions that the small sample of workers in the U.K. may not have intentionally mislabeled dogs, however, but were simply unfamiliar with pit bulls. "It is likely that a large portion of the U.K. rescue centre workers and volunteers in this study have never seen a pit bull type dog ‘in the flesh,' " Orritt writes in an email to The Dodo. Given the confusion about which dogs should be defined as pit bulls, this study underlines the fact that BSL is a flawed way to prevent dog bites. Both the Centers for Disease Control and Prevention and the White House point out that owner behavior, not breed, ultimately leads to more dangerous dogs. 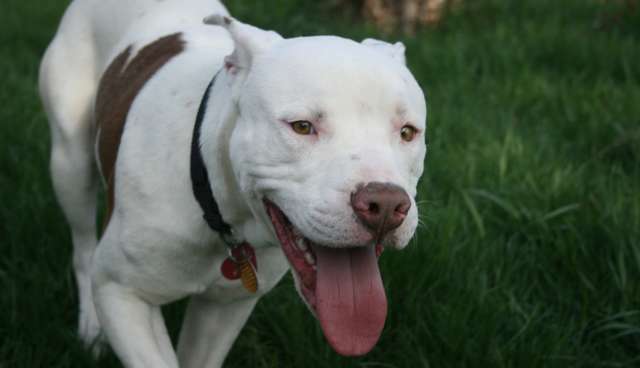 The Dangerous Dogs Act, likewise, relies on 15 physical characteristics "to identify pit bull type dogs," Orritt says. "A Labrador of the right size and shape could meet these criteria, and therein lies the flaw of breed specific legislation."